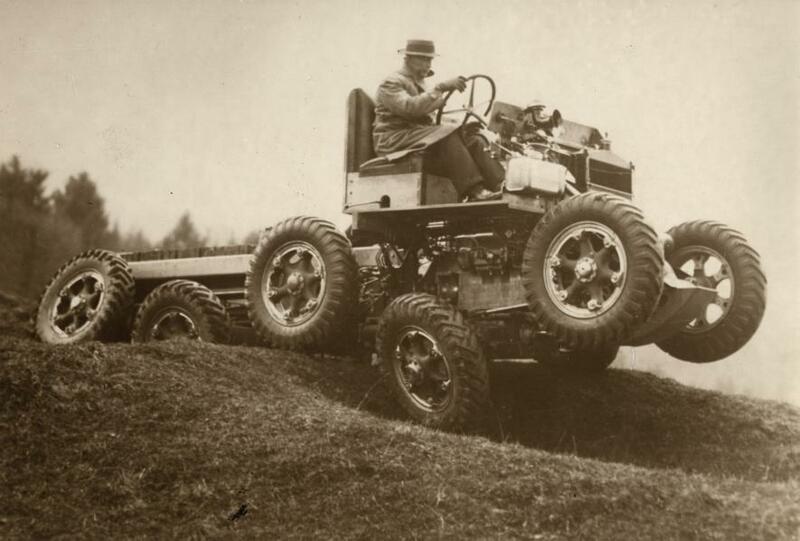 Here’s an interesting experimental off-road vehicle from the 1930s. It looks like it has ten-wheel-drive, though I was only able to trace it to this source on Flickr. Apparently it’s English.